This Photo Picture Frame has a Rich Mahogany Finish! This Display can be Mounted Horizontally and Vertically! 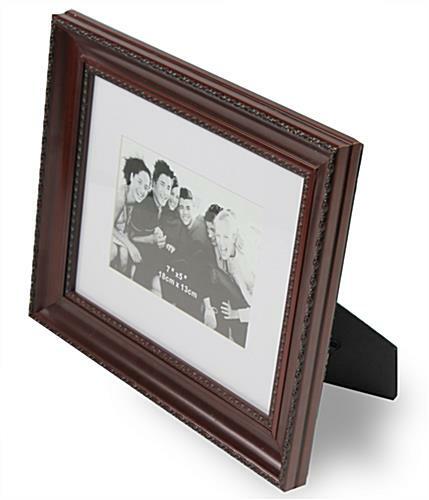 This Photo Picture Frame is a Great Gift for Graduations! 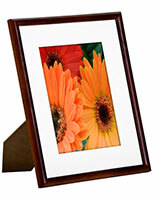 4" x 6" / 5" x 7"
Easel stand mounts both in portrait and landscape format. Mounting hooks allow display to be hanged. 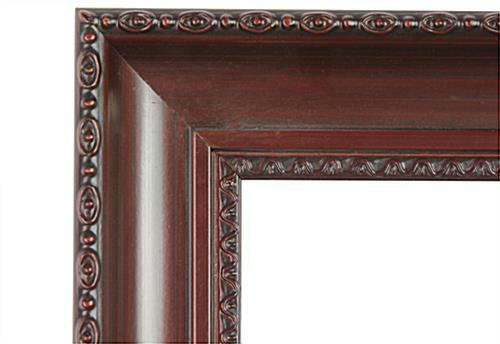 Ornate frame design gives it a rustic look. Glass cover keeps photo protected from damages. Constructed from wood and medium density fibreboard. 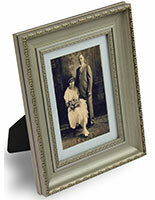 This photo picture frame is ideal as a gift for weddings. This display has a beautiful mahogany finish. 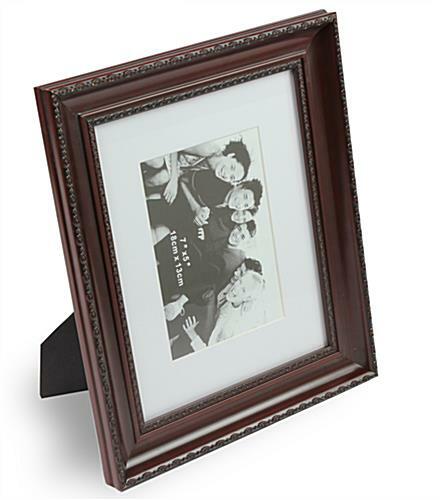 The edging around this wooden photo picture frame has an engraved design that really makes it stand out. This display really enhances the look of prints thanks to the intricate pattern on the profile and white accent mat. 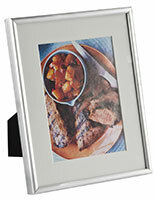 This photo picture frame that is matted allows owners to display two different sized images. 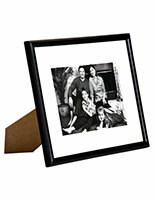 With the matting, this display is set for a 5" x 7" image, but once the matting is removed it can display an 8" x 10" image. This unique photo picture frame is great for wedding, graduation and birthday pictures. 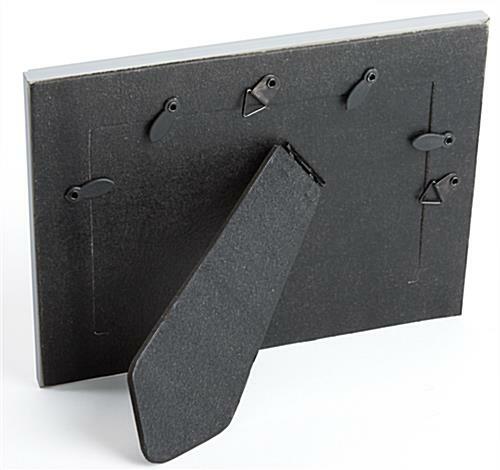 This display holder can be wall-mount or for countertops. 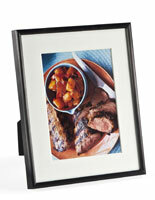 This photo picture frame can be either wall mounted or sit on countertops. 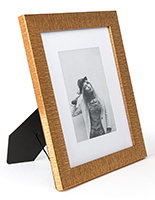 With the easel stand, this print holder sits in either portrait or landscape format. 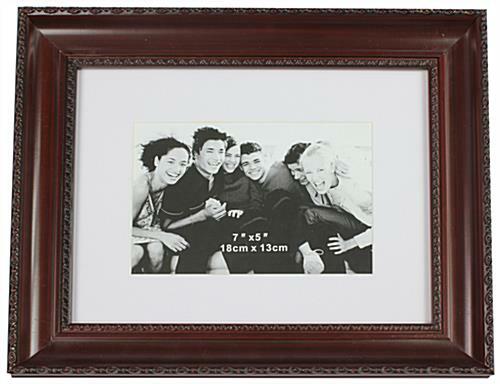 This photo picture frame can also be hung on the wall in portrait or landscape format. The mahogany finish on this holder meshes nicely with any environment and really looks great in any setting. This photo picture frame is easy to set up. Simply adjust the sliding clips on the back and remove the backing to place a new print in. 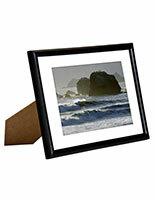 This photo picture frame is easy to use, versatile and makes a great gift. 12.5" x 10.5" x 14.4"